The Solar Sal Project, located along the Hudson River, has been created to show the already existing possibilities for solar electric transportation. While solar cars, trains and airplanes are still a long way off (if not completely impossible), solar transportation upon water is already a reality. The Solar Sal Project is a clean, green, and quiet solar electric marine propulsion boat that has photovoltaic panels for all its power needs that allows its voyagers to travel along the Hudson River while doing no harm. Importantly, this project represents one of the important possible futures for the Hudson River watershed, reimagining the two-way-river that has always, until the past decades, played a crucial role in the transportation of people and goods for those who live along her banks. SolarSal transforms light into electricity and invites all who see this solar boat to reconceive of possible futures for the Hudson. Perhaps we are only a few decades away from reinstalling waterways as central parts of sustainable transport systems that can bring fresh food and other goods to the many population centers on its banks while supporting local sustainable industry. 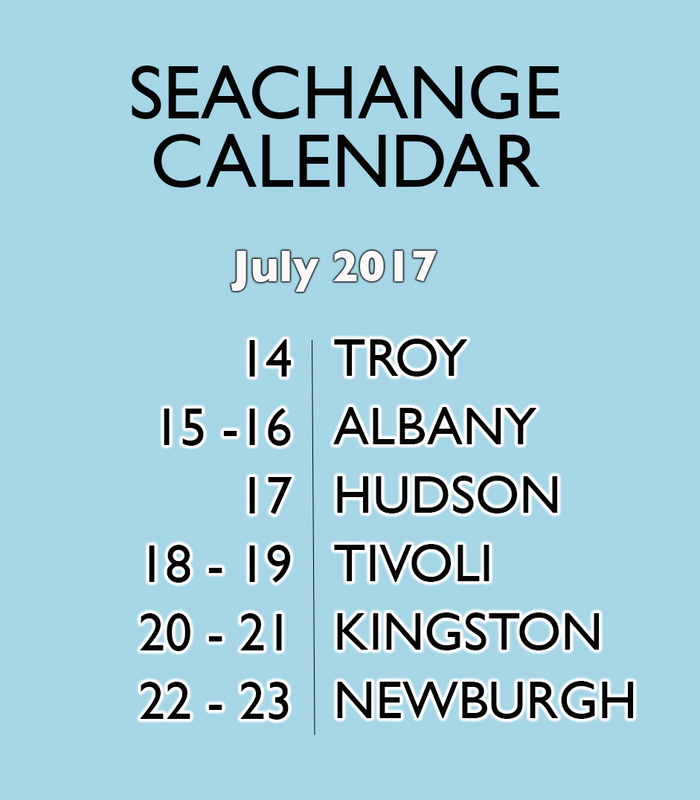 The SeaChange Project is overjoyed to partner with the Solar Sal Project for this voyage. We believe that using a solar boat – to raise awareness and promote action regarding the increasing risks of fossil fuel transport along the Hudson River – is a perfect combination, allowing the voyage to simultaneously critique an extraction-based energy system while providing practical alternatives. We imagine a river filled with life – both of natural biodiversity and of human culture, where we replace centralized, explosive and toxic energy systems with clean, renewable and democratic, energy structures.